1. Failure to define our goals. 2. Our own fear which stop us to take action. and in doubts about our own worthiness for success. The fears and doubts make their presence felt in “negative” emotions. We fear that we can't really get what we want, that we will fail because it has proved too difficult in the past, or that we'll never figure out how to get where we want to go. We always think to do lot of things in life and keep thinking how to achieve them. If I ask some one what is the biggest hurdle they face to achive a goal they will give several reasons. Most of the time those reasons are not real but they are just excuses not to take the action. You can not achieve your goal just by NOT doing anything but if you take action then there are chances that you succeed. Although no one can guarantee for success but to think big and work towards them is the only way that you can get success one day. If you ask some one how to achive your goals people will talk more negative rather than positive. We need to think positive if we really want to achieve our goal. For example if we want to start a business and you ask for advise, people will say there are so many people who started but after some time they have to close. No body will talk that there were so many people who started and due to good reasons and strategy they survived. We are not far behind from this thinking, we always think more how not to do the things rather than how to do the things. The biggest hurdle is to make yourself ready to take that challenge and work towards them. 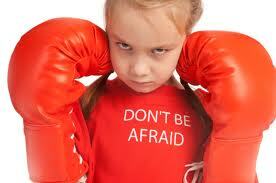 Our own fear does not allow us to take action, this is common for every one. Successful people try to overcome from their fear and take action while others just keep thinking. The best thing about your fear is that they are yours. You can identify them and can work to overcome. For that you need to take control of yourself, your actions and your thoughts. In order to reach your goal, you need to change the way you see things. When this shift is made, so many things can be achieved. All our emotions are positive, even sadness and fear. They all serve a positive purpose. They exist to help us move forward in life. They are your very best friends, trying to call your attention to what is holding you back. To overcome fear confidence and commitment is required. Choose some action that you will take each week, and then take it! You need to create forward momentum in your life and once that’s made you can move easily in the direction of your goals. 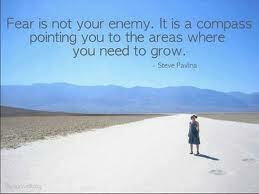 Well said, our own fear is the major hurdle to achieve our goal. I think the best strategy is break the final goal in small tasks with timeline and try to achieve them and monitor the success on regular basis.